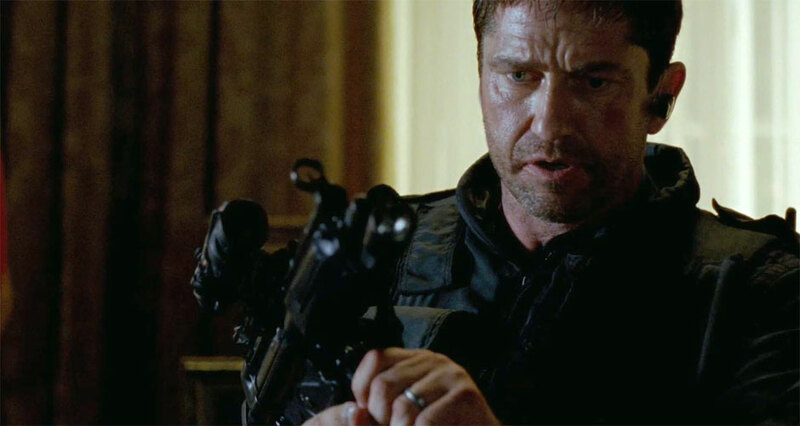 Olympus Has Fallen Blu-ray Review Films are often divorced from responsibility because they are fictional but where do we draw the line? You can only hope that the people watching this mindless bloodbath will see it for how ridiculous and infantile it is. 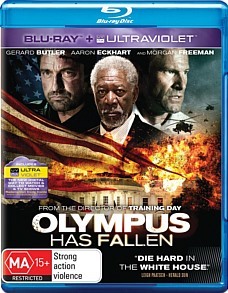 Modern cinema revels so frequently in destruction and chaos that it is extraordinary that a film as unambitious and appalling as Olympus Has Fallen can surprise you in the way that it fetishises big guns, explosions, high body counts and the demolition of various American monuments. Mindless blockbusters like this sell to teenage boys on the promise of more explosions and less brains. This is more disturbing considering how long the film lingers over people blown to bits and buildings destroyed. Derivative and poorly scripted, Olympus Has Fallen will put you to sleep with its sluggish pacing and relentlessly dull action scenes, or make your skin crawl with its chest-beating and laughable celebration of all things born in good old USA. The director was Antoine Fuqua (Training Day, Shooter), who has a long history as a music video artist. He directed the music video for the song Gangsta's Paradise by rapper Coolio and worked with Prince and Stevie Wonder too. Here he has paired with novice screenwriters Creighton Rothenberger and Katrin Benedikit to make a rip-off of the popular Clint Eastwood vehicle In the Line of Fire. Eastwood played an ageing secret service agent, whose inner demon was that he failed to save John F. Kennedy, and a lunatic stalking him was going to murder the new President. The film excelled because of the limited physicality of its central character and the suggestion of murder instead of outright gunfire. Where's the tension in Olympus when the main character is bulletproof, fall proof and endlessly resourceful, able to pummel goons with a statue of Honest Abe? Mike Banning (Gerard Butler) is a Secret Service guard of the American President Benjamin Asher (Aaron Eckhart), who is devastated when he fails to save the President's wife in a car accident. Eighteen months later, Mike is now working in the Treasury Department near the White House. Asher is holding a meeting with the President of South Korea, but they are ambushed by Korean soldiers and a traitorous secret service officer and taken hostage in the underground bunker of the White House. North Korean terrorist Kang (Rick Yune) demands that the President's staff (including Melissa Leo) handover the three codes to the USA's nuclear weapons and withdraw their soldiers from the DMZ area. Mike tries to infiltrate the building, rescue Asher's son Connor (Finley Jacobsen) and then the President. He conferences with acting President Trumbull (Morgan Freeman), and assures his partner Leah (Radha Mitchell) of his wellbeing. A potentially chilling and timely premise of the threat of North Korea is handled amateurishly by Fuqua. The opening scenes between Asher and his son in Camp David substitute characterisation for cheery mawkishness, and the bombastic, over the top attack on the White House lacks important narrative details. Who knew that it was so comfortable to enter US airspace with fighter-bombers? I found the fear mongering and jingoism in this overlong sequence as repelling as the body count. Asian terrorists pop out of nowhere, either wearing suicide bombs or firing rocket launchers. Few films in recent memory have been as profoundly racist and geocentric as this. The action sequences that follow hinge on cheap patriotic sentiment, including an unintentionally comical image of an American flag falling in slow motion, but without any deeper themes or meaning, they become boring and repetitive. The violence is incredibly sadistic, including one unwatchable beating, or blurred because of the incoherence of Fuqua's overwrought handheld cameras and dim lighting. One interesting technical feat was that the film was shot in Louisiana not Washington and 1300 special effects shots, along with sets, were used to recreate the White House and other stunts. However, it is still disturbing that the people involved with this dreck view it seriously and as ideologically significant. In an interview Gerard Butler, who also produced the film, endorsed its overt patriotism: "You come out of there with so much patriotism and you feel inspired because really at the end of the day the essence of the story, it's a hero's journey." Patriotism is not an appropriate excuse for demonising other cultures and working as hard as possible to inflate people's fears through post-9/11 jingoism. Films are often divorced from responsibility because they are fictional but where do we draw the line? You can only hope that the people watching this mindless bloodbath will see it for how ridiculous and infantile it is.